You need to be a minimum of 17 years of age and hold a valid Provisional Driving Licence. To apply for a Provisional Licence: complete a D1 form available from the Post Office; send it to the DVLA with the fee, your passport or birth certificate and a passport-sized photograph. 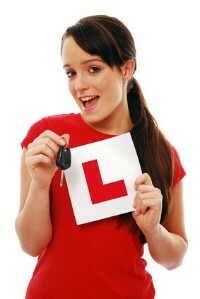 Apply for your licence up to 3 months before your 17th birthday and you could book your first lesson for the big day! Driver & Vehicle Standards Agency research shows that the current average is 47 hours of tuition, with an additional 20 hours private practise to pass. I will give you an idea of how many you are likely to need after your first lesson. You can help to keep this low by taking more than one lesson a week and/or taking longer lessons. Before you start to learn to drive, make sure you know the eyesight rules and are able to comply with the requirements. - Try this eye test simulator.